The 21.0 x 28.0" Pico Fixed Frame Screen from Elite Screen is a small, compact, lightweight and fully portable way to always have a projection screen on hand for business and other concerns. 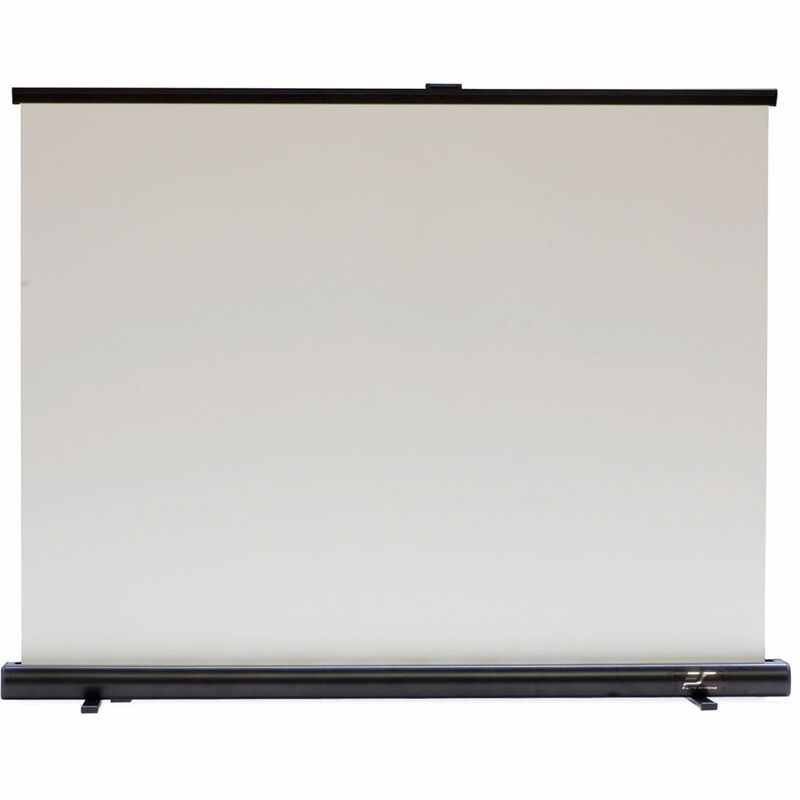 Designed for a tabletop presentation, this screen gives you the advantage of entering someone's office, setting up in a few seconds, making your presentation and leaving just as quickly. The screen sets up rapidly thanks to its scissor-backed design that also provides tensioning that assures a flat, even and undistorted image. The included canvas bag protects the screen when not in use. The Pico works for both traditional projectors as well as Pico-style micro-projectors. It's so small and compact that it can even fit within your briefcase. The MaxWhite screen finish provides a clear and bright image with its 1.1 gain rating. The standard projection format is video (4:3 aspect ratio). Backed by Elite's respectable 2-year warranty, the Pico Screen is a more than viable way to make sure you always have a screen to make your presentation rather than relying on rental fees or assurances from clients that they "may" have a screen somewhere in their office. It also eliminates having to use a standard wall that will not deliver the kind of clear image the Pico does. Box Dimensions (LxWxH) 32.0 x 4.5 x 3.5"
PC35W Pico Fixed Frame Screen (21.0 x 28.0") is rated 4.0 out of 5 by 1. Rated 4 out of 5 by John C. from Compact & lightweight Its appears to be very reliable and good quality. New user, but had a different make and model and sent it back. This works well and is solid.